▶ Diamond Southwest Industrial Park LLC purchased 42,332 square feet of industrial space in Diamond Southwest Industrial Center at 3475 and 3515 W. Post Road in Las Vegas for $6.3 million. Mike DeLew and Greg Pancirov of Colliers International represented the seller, Diamond Post LLC. ▶ 1925 Village Center Circle LLC purchased 9,734 square feet of office space at 1925 Village Center Circle for $2.2 million. Soozi Jones Walker and Bobbi Miracle of Commercial Executives Real Estate Services represented the seller, RSM Investments Inc.
▶ Serdoz @ Rafael Rivera LLC purchased 2.5 acres of vacant land on the northwest corner of Rafael Rivera Way and Lindell Road for $1.9 million. Robert Torres and Scott Gragson of Colliers International represented the seller, Beltway 4.77 LLC. ▶ Nevada Auto Real Estate Investments LLC purchased 0.86 acres of retail land at 5000 W. Sahara Ave. for $1.9 million. Robert Torres and Scott Gragson of Colliers International represented the seller, JRJ Properties. ▶ Barbiere Family LP purchased 6,012 square feet of retail/medial office space at 3111 S. Maryland Parkway for $800,000. Chris Clifford, Steve Neiger and Brett Rather of Colliers International represented the seller, LVPS LLC. ▶ Tri State Steel purchased 7,500 square feet of industrial space at 2780 Bledsoe Lane for $675,000. Chris Connell and Grant Traub of Colliers International represented the seller, 2780 Bledsoe LLC. ▶ Trajan Holdings LLC purchased 2.5 acres of land near Rainbow Boulevard and Richmar Avenue for $625,000. Robert Torres and Scott Gragson of Colliers International represented the sellers, GKT Acquisitions and Alan J. Arnold Trust. ▶ Mach 1 Industries Inc. purchased 1.25 acres of vacant land on Sobb Avenue and Hinson Street for $550,000. Dan Doherty, Spencer Pinter, Chris Lane and Jerry Doty of Colliers International represented the seller, CW LV Real Estate LLC. ▶ Bron Tapes of Nevada Inc. leased 13,662 square feet of industrial space in Valley View Corporate Center (Phase II) at 6265 S. Valley View Blvd., Suites L and M. Spencer Pinter of Colliers International represented the landlord, Valley View I, II &III LLC, and Mike DeLew and Greg Pancirov of Colliers International represented the tenant. ▶ Palladino LLC leased 4,008 square feet of industrial space in Civic Center Corporate Park at 3862 Civic Center Drive. Dan Doherty, Chris Lane and Jerry Doty of Colliers International represented the landlord, MCA Civic Center II LLC. ▶ Greenline West LLC leased 3,812 square feet of industrial space in Valley View Corporate Center (Phase I) at 6285 S. Valley View Blvd., Suite E. Spencer Pinter of Colliers International represented the landlord, Valley View I, II &III LLC. ▶ Rishawn Newman leased 3,290 square feet of industrial space at 3680 W. Quail Ave. Unit 1. Pelagia Dimopoulos of Fortis Commercial Advisors represented the tenant, and Matthew Feustel of Virtus Commercial represented the landlord, VRES, LLC. ▶ Administrative Headquarters Inc. leased 3,160 square feet of industrial space in Arrowhead Commerce Center, Building 1 at 6280 S. Pecos Road, Suite 500. Spencer Pinter, Dan Doherty, Chris Lane and Jerry Doty of Colliers International represented the landlord, KTR LV IV LLC. ▶ Domino’s Pizza LLC leased 2,394 square feet of retail space in Sahara Pavilion North, at 4604 W. Sahara Ave., Suites 1 and 2. Jeff Mitchell of Virtus Commercial represented the tenant. ▶ Burger Shoppe leased 2,000 square feet of retail space at 340 Boulder Highway, in Henderson. Jakke Farley of Virtus Commercial represented the landlord, Brian Atkinson. ▶ Las Vegas Coffee Investors LLC leased 1,885 square feet of retail space at 4165 S. Grand Canyon Drive, Suite 106. Mike Zobrist of NGKF represented the landlord, Grand Flam Shops Capital Management LLC and Preston Abell of Virtus Commercial represented the tenant. ▶ Poke Poku leased 1,625 square feet of retail space in Beltway Plaza Shopping Center at 9310 S. Eastern Ave., Suite 108, in Henderson. Mubashir Mushtaq of Active Commercial represented the tenant, and Preston Abell and Jeff Mitchell of Virtus Commercial represented the landlord, Beltway Plaza III. ▶ Pop Drinks LLC leased 1,400 square feet of retail space in Crossroads Plaza at 4975 S. Fort Apache Road, Suite 109 in Las Vegas. Al Twainy and Amelia Hyden of Colliers International represented the landlord, Crossroads Plaza LV LLC. ▶ EAG Wireless LLC (Metro PCS) leased 1,300 square feet of retail space in Sea Breeze Village at 1750 N Buffalo Drive, Suite 110. Robert S. Hatrak II of Virtus Commercial represented the landlord, New Deal-Seabreeze LLC, and the tenant. ▶ Dreambody Wraps and Laser leased 1,258 square feet of office space at 5300 W. Sahara Ave., Suite 204. Brett Beck of Virtus Commercial represented both the tenant and the landlord, Sahara Edmond Plaza LLC. 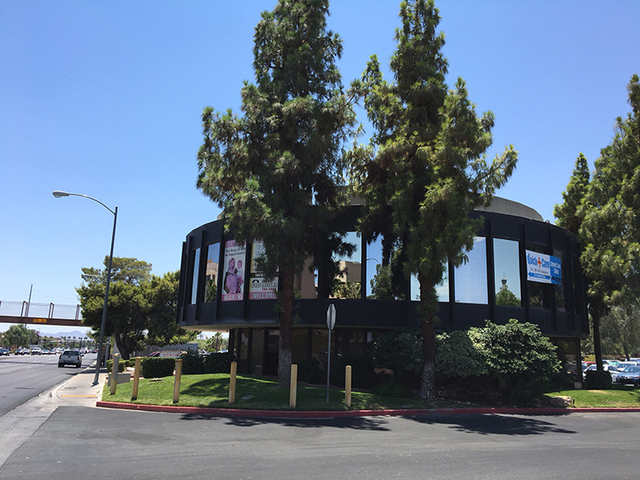 ▶ Release LLC leased 800 square feet of office space at 3242 E. Desert Inn Road, Suite 10. Brett Beck &Jackie Zlatanovski of Virtus Commercial represented both the tenant and the landlord, Desert Inn Square.